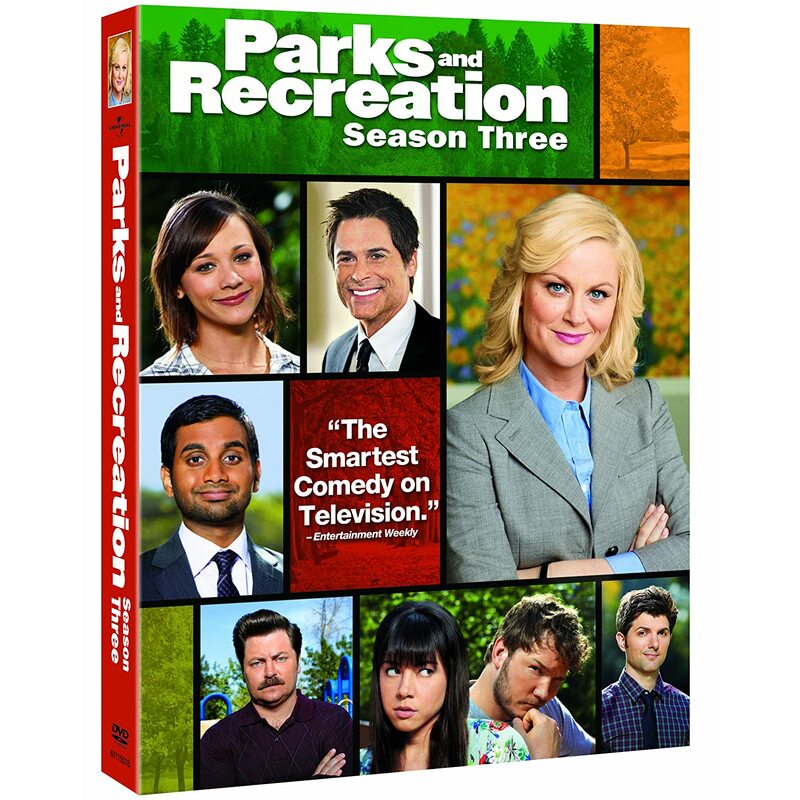 Quick Take: Parks and Recreation, "The Flu"
Review: Parks and Recreation, "The Flu"
(S0302) While I like to think that Parks and Recreation has created its own identity in comparison to its predecessor, The Office, there is some obvious functional and thematic crossover. They both stick to the same mockumentary narrative approach, one that feels much in its own genre as compared to Arrested Development or Modern Family. They both deal with the bureaucratic nonsense that affects the soul-crushing day-to-day activities of modern employment. And they both create realistic business- and politics-related story arcs to go along with the arcs that focus more on characterization. On The Office, we saw storylines dealing with a continued threat of downsizing, with a merger between branches, with a surprise time period of financial success, and with the creation of a company and with the failure of another. These arcs have more to do with the characters reacting to a situation as it develops. The arcs on Parks and Recreation have more to do with achieving goals. And maybe that's what makes P&R the more optimistic of the two shows. The current goal that we were introduced to in last week's season premiere was to plan and run the Pawnee Harvest Festival. Just like Leslie (Amy Poehler) had to canvas for residential support and meet with city trustees and plead her case to get the pit filled-in, she has to accomplish various mini-goals to accomplish her main one. The first step is getting at least 80 local businesses to pledge their support to the festival. Unfortunately, a horrible flu bug is sweeping through Pawnee and Leslie quickly becomes too sick to give her presentation to the business owners. Ben (Adam Scott) demands that Leslie goes to the hospital and that he will take care of the presentation. Leslie reluctantly agrees, but soon she questions whether or not Ben will present as strongly as she could. She sneaks out of the hospital, but not before stealing some extra flu-medicine (which Ann describes as already being exceptionally potent). The drugs make Leslie, well, loopy and her ability to give the presentation is greatly and rightfully questioned by Ben. But he doesn't know Leslie Knope. Just moments after calling herself Leslie Monster to a painting, she approaches the podium and pulls of the perfect speech. As a Bulls fan (sidebar: congrats to Derrick Rose for earning a starting spot on the Easter Conference All-Star Team), I couldn't help but think of of the Michael Jordan Flu Game during this scene and I was pleasantly surprised to actually see it acknowledged by an impressed Ben. And he should be impressed because Leslie accomplished her first mini-goal: she needed 80 businesses; she got commitments from 110. But the flu doesn't only strike Leslie. April (Aubrey Plaza) is hit hard as well and her nurse ends up being none other than her arch enemy, Ann (Rashida Jones). April uses her position as a patient to harass Ann and her profession (“No one dresses up like a janitor when they want to be slutty.”) and Ann takes it all in stride in the name of professionalism. And then her shift ends and she effectively goes-off on April, which coincidentally leads April to really respecting Ann for the first time...if only just a little. With April out of commission, Ron (Nick Offerman) hires Andy (Chris Pratt) to temporarily act as his assistant. While Andy doesn't have quite the cold-heartedness April uses to dismiss citizens calling to speak with Ron, his ignorance of the phone system leads to much the same results. Ron develops an almost mentor-protege relationship with Andy (something that was hinted at in "The Camel"), though a lot of that has to do with Andy being the only real man in his office (and that includes Tom and Jerry)(hey! look at that!). When Ron breaks his promise to April by telling Andy that she was in the hospital, Andy rushes to see her. She appears to be sleeping so Andy whispers an apology in her ear and kisses her on the forehead, even though that turns out to be really, really gross because of all the sweat. As Andy leaves, April opens her eyes and smiles. As one relationship works its way towards reconciliation, another continues to build. Ann really likes Chris (Rob Lowe), but he seems so perfect that she's become intimidated (“There was one time I thought he farted...but it was me.”). Then he gets the flu. With all of worrying and sweating and fluid loss ("Stop...pooping..."), he suddenly becomes a lot more human and Ann becomes a lot more comfortable. And for the sake of horrible segues, I'm glad to see the show has remained as comfortable as it seemed in Season Two. The characters have their own set of goals to achieve every week and over the course of the season, but if the cast and crew have the goal of showcasing one of the smartest, funniest, most heartfelt shows on television, mission accomplished. Every time I wrote the word "flu" in this review (including just now), I typed it as "flue" first. That got obnoxious fast. I didn't really get into Tom hot-tubbing it up with some old white dudes who eventually donated vans to the Harvest Festival, but I loved how the (presumably) only spa in Pawnee is called Spawnee. Donna "barricades the door" with little more than a lightly-placed hand on the glass and a stern look. Hilarious. Chris gets a call from Indianapolis saying that they will need to stay in Pawnee a lot longer (I wasn't even thinking of that being an issue, but in hindsight, I'm glad they addressed it) and Ben seems genuinely excited about this. Could there be a love connection between him and Leslie in the future? Mike, you bring up great points about what makes P&R stand out from other comedies on television, beyond the obvious amazing writing/cast. The sense of optimism is indeed unique and gives the show a very different flavor than the more dour and serious "feeling" Office (which is of course played against for comic effect). The way the shows are shot reflect this as well -- P&R is very bright and colorful for the most part whereas The Office is relatively whiter and more colorless (although no where near the bleak washed out hell of The Office UK original!). Or am I crazy ?